Click on a map pin to select a local group and bring up contact and meeting information or see list at the bottom. ​national helpline number 1-877-4LA-LECHE or 877-452-5324. 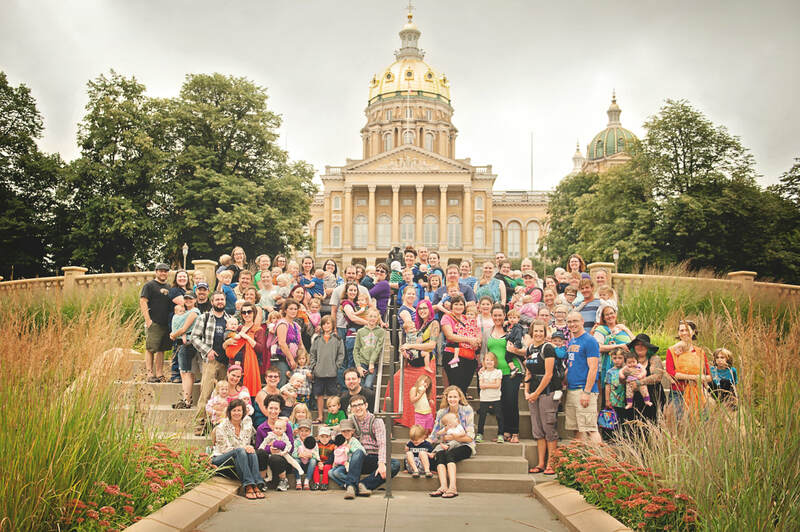 Find Monthly LLL Iowa Virtual Meetings on Facebook @LLL.Iowa.online. At La Leche League meetings mothers share their questions, their concerns and the many benefits of breastfeeding. Our meetings include pregnant and breastfeeding mothers. Babies are always welcome. We meet every 1st Tuesday of the month at Northminster Presbyterian Church, 1416 20th Street, Ames, IA in the Fireside Room at 7:00 p.m. Contact a Leader or see our facebook events for date and location of our Monthly Nursing Support Group. The heart of LLL is our monthly meetings; please join us with your babies, your family and support people, your questions, and your experience, and find a supportive nursing community. Barb-land line: 319-234-2374, Cell: 319-429-0647. Email: babecker@mchsi.com. Susan-land line: 319-268-0727. Email: cedarloolll@cfu.net. Contact a Leader for meeting information. Email LLLofDesMoines@gmail.com to contact a leader. Contact a Leader for Meeting Information. Find Fairfield La Leche League on Facebook. We currently offer two meetings each month. All breastfeeding families and people interested in breastfeeding are welcome to attend our meetings. Children are welcome at all our meetings. The fourth Wednesday of each month at 7pm at Trinity Medical Center, Bettendorf Iowa. Male partners are welcome at this meeting. The second Tuesday of each month at 10am at St. John's Methodist Church, Davenport, Iowa. We meet upstairs in the children's rooms.